Kit ‘N’ Caboodle creates Die-Cutting machines and accessories that are high quality, portable and easy for crafters of all ages to use! This Extended Plates set includes 2 B Plates and 1 A Plate that can be used with your Kit ‘N’ Caboodle Die Cutting Machine. These plates are robust and made of high quality plastic, meaning you can count on them to help you die-cut and emboss each and every time you craft. These plates can cut and emboss thin dies up to 7cm in width and 25cm in length. Small and portable, these Kit ‘N’ Caboodle Extended Plates can be easily stored and transported in a bag or tote for crafting on the go! Simply create your sandwich with you die or embossing folder and cardstock and feed through your machine. 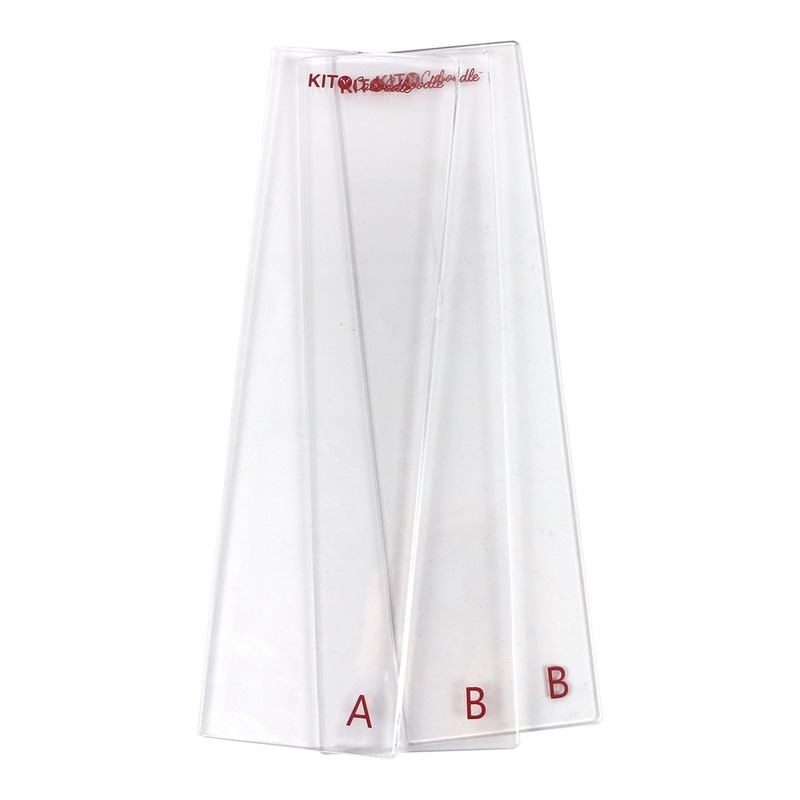 This pack contains 1 A plate and 2 B plates, measuring 7cm x 25cm each.